Some of the Halloween events taking place in the capital can be a bit too much for young ones (and some old ones). Thankfully, there's a whole host of family friendly and fun activities to keep your children entertained over the Halloween season. Find out the frightful facts about some truly grisly creatures. After its successful run at Camp Bestival, Gruesome Nature Live! returns to ZSL London Zoo this October half term. Kids will be led on a sing-a-long adventure in this interactive musical show as ZSL scientist Dr Atrox arrives home from her epic journey to find the toughest species on earth.Find out the frightful facts about some truly grisly creatures. Discover a lizard that squirts blood out of its eyes, hear about the terrifying tongue-eating parasite and learn which species can endure fire, ice and radiation. These monstrous truths reveal the more stomach-churning side of the animal kingdom. Hogwarts is given a makeover especially for Halloween. The witch is the star of this mesmerising, underwater show. 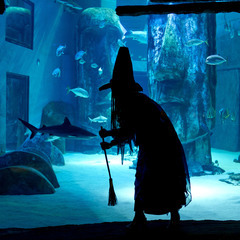 Step into the depths of an underwater world this October half term and discover the Sea Witch at Sea Life London as the aquarium becomes the Ascarium in the week leading up to Halloween. The witch is the star of a mesmerising show, performed live from the Shipwreck area of the attraction. Children can help the sea witch in her quest to unlock the treasures of the ocean and protect against the dangers facing the seas. Walk down the Ocean Tunnel and over Shark Walk, see the creepy crawlies in the new Rainforest Adventure and enter the world of jellyfish as you go on your adventure. 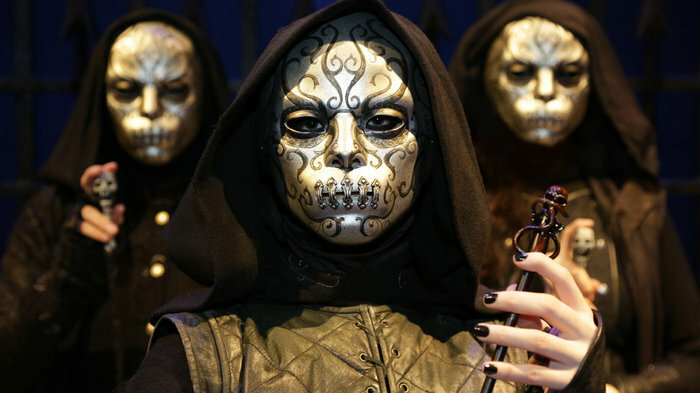 The London Dungeon hosts its scariest event in 40 years.